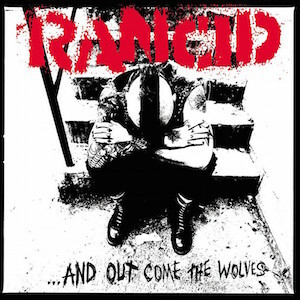 “… And Out Come The Wolves” is my favorite Rancid album, and “The 11th Hour” is a collaboration I’ll always be proud of. 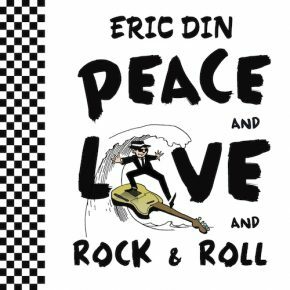 Tim Armstrong and I wrote it in about three hours spread out over as many days, as the band was deep into the finishing stages of recording. I was surprised that Tim wanted to push one more song through the works, but it not only made the cut but ended up being track #2 on the record. 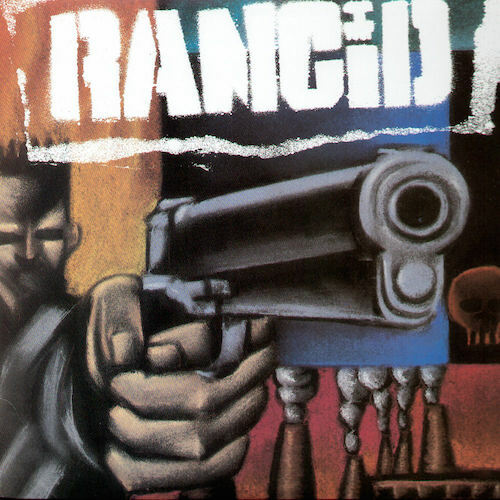 There’s a 20th Anniversary remastered edition that just came out, more on that at Epitaph Records. 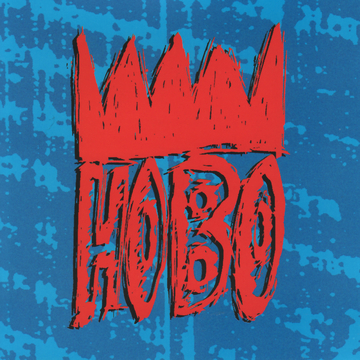 This album was the soundtrack to my life in late 1995. 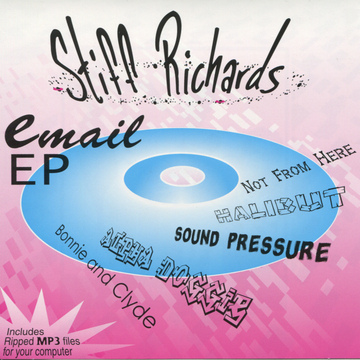 STIFF RICHARDS Infamous “Email EP”! 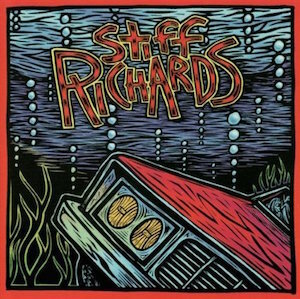 This record from STIFF RICHARDS features 5 original songs with lead vocals from The Rev. Paul Jackson, and some phenomenal drumming from Tuan Titlestad. 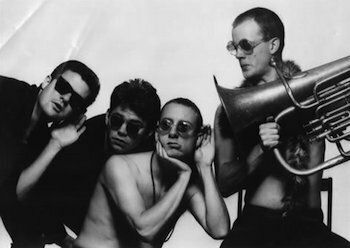 On the opening track, “Not From Here” (later covered by The UPTONES), you hear the collision of Bennie Wood’s commanding ska bass style and Tuan’s all-out rock drum approach. That sets the tone for the whole EP and it does not let up. “Halibut” is a personal favorite of mine, especially as it finds Paul channeling Sasquatch, explaining, “Don’t call me Bigfoot.” The set closes with “Bonnie and Clyde” (also later covered by The UPTONES) which was composed in the studio. These songs called for me to go hog-wild on guitar, and I love how it all come out. Author Eric DinPosted on July 10, 2015 July 24, 2017 Categories Blog, RecordingsTags Stiff RichardsLeave a comment on STIFF RICHARDS Infamous “Email EP”! 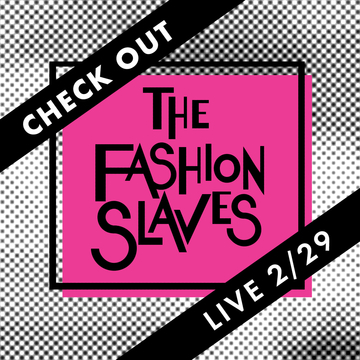 “Check Out The Fashion Slaves” by – you guessed it – The Fashion Slaves! 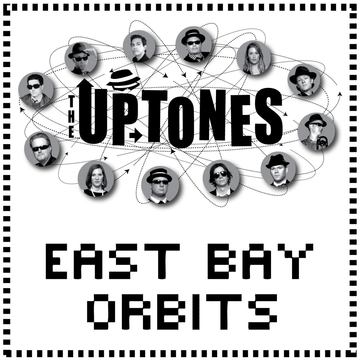 The Fashion Slaves started as a side project when Emily Jayne was singing and playing guitar with The UPTONES in 2011. We got home from a little tour and she’s rarin’ to go so we decided to make a four-piece rock band. I called Eric Knight whose bass playing I loved in ENGINE 88, and young Pete D’Amato completed the combo on drums. 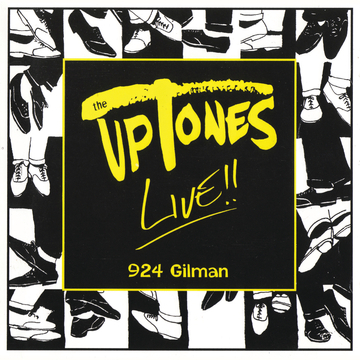 This live album contains one of our earliest performances. Our producer Matthew King Kaufman encouraged us to play the Millard Fillmore High School dance, and sent Michael Rosen out with his mobile recording setup to capture it. The opening cut is our cover of “Psychotic Reaction” which was so damn fun to play as it has two (!!) extended guitar solos, so I went completely nuts right at the beginning of the set. Here’s a video Emily made for the song. Author Eric DinPosted on July 6, 2015 July 24, 2017 Categories Blog, RecordingsTags The Fashion SlavesLeave a comment on “Check Out The Fashion Slaves” by – you guessed it – The Fashion Slaves! 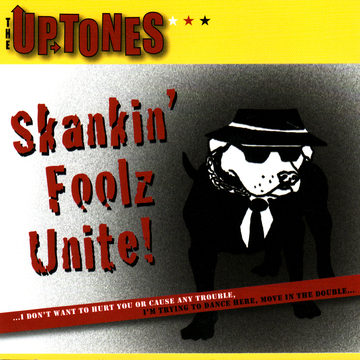 Author Eric DinPosted on June 25, 2015 July 24, 2017 Categories Blog, RecordingsLeave a comment on The UPTONES – Skankin’ Foolz Unite! 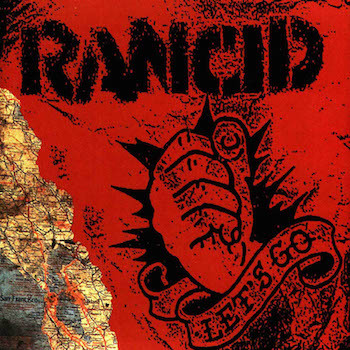 One of the great punk records of the 90’s, RANCID’s 2nd LP is the one that really announced them to the world. It was an exciting time with GREEN DAY and RANCID blowing up out of the east bay scene, and suddenly punk rock was a mainstream genre. 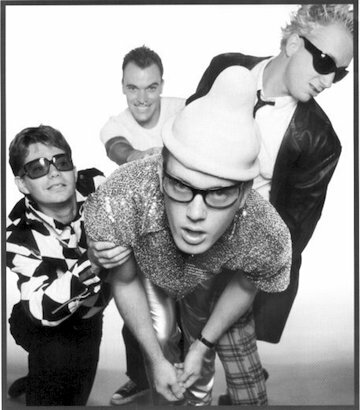 When I co-wrote “Name” with Tim Armstrong, all the big labels wanted to sign them. Coming from the Lookout Records school of DIY glory, they weren’t terribly interested in becoming sanitized pop stars. So instead of watering things down, they stayed on Epitaph Records and kept getting MORE punk! Available in all the digital places.